The shocker in this is NOT ONLY that 200 million American Adults remain ignorant to the realities of FORCED CIRCUMCISION, INCLUDING THE FACT THAT IT IS COLLECTIVE CHILD ABUSE we are facing and that it therefore is ALREADY OUTLAWED, or even that this big film chance to educate the masses on NON-THERAPEUTIC INFANT GENITAL CUTTING was passed up; but IT IS ALSO SHOCKING that describing such truths would earn the film an "R" rating, while at the same time we continue to subject the most innocent of our little ones to such horrors each day... to the number of 2.2 MILLION CHILDREN EACH YEAR BEING MUTILATED in the USA alone … and the mere “discussion over discussion” / “research after research” dynamic is going on and on and on. If Diaz would really be interested in ENDING this GLOBAL COLLECTIVE CHILD ABUSE, she would have refused to be part of the movie at all and simply on the grounds of the subject being “cut” form the movie. This would have been a CLEAR SHOW of CLEAR MIND and HEART. … "Can we just talk about circumcision for a second?" “Can we just talk about the Holocaust of Global Collective Child Abuse of Genital Mutilation for a “second”??? … and then the smile on her face and the laughs of the others … How pathetic! Here is the uncensored TRUTH about this COLLECTIVE CHILD ABUSE! 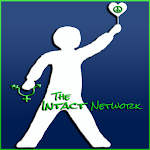 www.intacthumanity.org including the SOLUTION FOR ITS PREVENTION! … and this beyond this mere “discussion over discussion” / “research after research” dynamic, and certainly beyond any compromise! Violence against a Child is Not a Private Matter. … this TRUTH is not a matter for discussion. 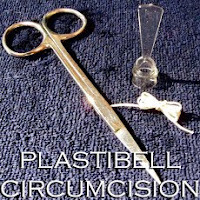 People simply have to be told that >forced circumcision< is already outlawed and that the law will be enforced on any future such inflictions of preventable injury to a child. This is the >Critical Mass Information< in order to End this Collective Child Abuse. “Petitioning” for a “ban” on MGM is the wrong information, because this BAN already exists. “Petitioning” for a “ban” on MGM is misleading information, because this misleads the public to think that >forced circumcision of male children< were NOT outlawed, but were a state guaranteed right to do. Global Cooperative Action beyond mere “discussion” / “research” and “petition”. 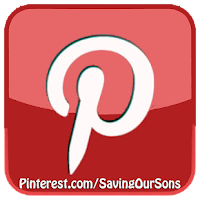 “I _____ ____ agree with and endorse the Official Statement of the Global Symposium for an Intact Humanity and endorse it together with the Symposium’s Universal Demand for Law Enforcement on this Global Collective Child Abuse of Forced Circumcision. 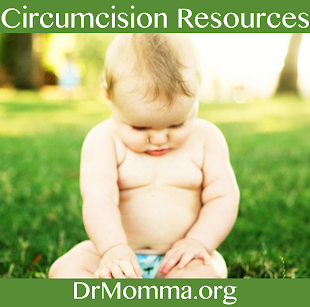 unbelievable... rated "R" for truth about circumcision. American boys are so screwed. Now if Paul Rudd and Leo DeCaprio would speak up about being an uncut man in this mutilated country, THAT would be incredible!!! This will not change my opinion of her. I'm glad she supports keeping baby boys perfect, and whole; but her stance on abortion made me lose complete and total respect for her no matter what (not starting an argument about an unrelated topic. Just saying it doesn't change my opinion of her.) We need more celebrities standing up for human rights. Thank you God for this baby boy.but you know you did not quite create him perfect. As I know better than you, I will just make a small adjustment, then he will be better.